Lancaster, Ohio is a working-class town with a little over 40,000 people. Located around 30 miles southeast of Columbus, Lancaster’s population is 93.6 percent white, with a modest median household income of $38,625—well below the national median of $61,500. The poverty rate is estimated at 20.5 percent. One key observation Mallach makes is that the creation of the “Rust Belt” actually took place in two stages. 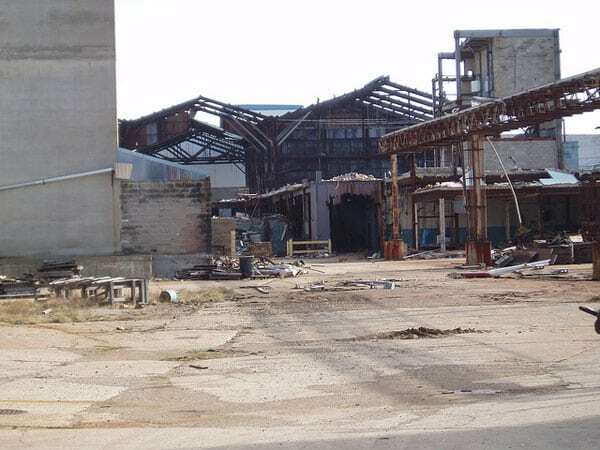 The first—and better known—stage occurred in the late 1970s and early 1980s and is marked by such developments as the shutdown of Youngstown Sheet & Tube in 1977, a time when the layoff of 5,000 workers could make front-page national news. But then, Mallach adds, manufacturing unemployment actually “stayed reasonably stable through the 1980s and most of the 1990s.” US manufacturing did not recover to its glory days, but jobs were steady. Then, the second shoe fell. Between 1998 and 2010, “the United States lost over six million manufacturing jobs, or roughly one out of every three factory jobs in the country.” Eight years later, only a million of those jobs have come back, Mallach adds. Anchor Hocking was sold off in a debt-financed buyout to the huge private-equity firm Cerberus Capital Management. The company promptly fell into bankruptcy, out of which it was sold in another debt-financed buyout to a much smaller private-equity firm called Monomoy Capital Partners. There was a forced marriage with the silverware company Oneida, then an initial public offering after which the stock soon tanked. In quick succession came a shutdown, a notice (in accordance with the Worker Adjustment and Retraining Notification Act) that the place might close for good, a second bankruptcy during which the former creditors became the equity owners, and countless leadership rotations. During the past 15 years, it’s had three different corporate owners. Can the Federal Administration Resist the Growing Clean Energy Economy? The Trump administration seeks to roll back environmental policies, but market forces are moving ahead towards clean energy.